Whether you’re planning a quick get-away to the beach or mountains, a dream cruise of a lifetime, an adventure trek, or an overseas business trip, travel insurance can be a wise investment that can save you money and provide you with peace of mind. The information below answers some common questions that can help you make a better-informed decision about your travels. Can I afford the financial risk of losing my vacation investment if something goes wrong due to illness, weather, or other unforeseen circumstances? If I have to cut my trip short because of an emergency can I afford the cost of a return airline trip home? Does my health insurance cover me away from home and in foreign countries if I become ill or am injured while traveling? If my bags are lost or I have to spend an extra night because of weather-related problems, can I afford to buy replacement necessities and pay for extra lodging? If you answered 'No' to any of the above questions, chances are that travel insurance may be a wise investment. Travel insurance can end up saving you a lot of money. Q: What is Travel Insurance? Financial reimbursement for trip cancellation, interruption and delay in situations arising from conditions such as illness or bad weather; and for baggage loss and/or delay. Medical insurance and medical evacuation coverage in case you become ill or are injured while traveling. 24-hour assistance line to help find doctors, help arrange accommodations, contact your family or other assistance in case of emergency. Q: Why Buy Travel Insurance? There are a number of reasons why you may want to purchase travel insurance. The most common reasons are peace of mind, protection from the unexpected, and concern over losing the financial investment in a trip. 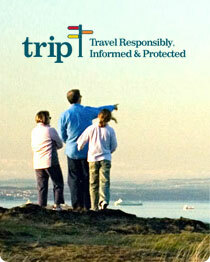 When deciding whether travel insurance is right for you, compare companies, policy coverage, benefits and prices. Also find out what is included as well as what is excluded. Check your current health and homeowners policies to see what coverage you have. For example, many people are surprised to find that their medical insurance may not cover them in international waters, and may provide no coverage at all for medical evacuation. Do you need insurance for trip cancellation, interruption and delay? Do you need medical insurance and medical evacuation coverage while traveling? Will you need a 24-hour assistance line to help find doctors, contact your family or other assistance in case of emergency? Do you travel often? If so you may want to consider an annual policy. If on a sports trip, are sports-related injuries covered? Are strikes, civil disturbances and terrorist acts covered? Are you covered if your travel supplier goes out of business? Especially if on a cruise or tour check whether the policy covers the entire trip, including airfare, hotel, shore excursions, sightseeing and pre-and post-touring. Travel insurance generally costs from 4% to 8% of the total trip. Cost is based on the length of trip, destination, and age of policy holder. What is the waiting period for trip or baggage delay? Is coverage primary or secondary? Secondary coverage means that you must file a claim with your other insurance such as homeowners or medical first. Primary coverage means that the insurance reimburses you before any other insurance. Where can you purchase travel insurance? Travel insurance can be purchased from travel agents, travel suppliers (airlines, hotels, cruise lines, tour operators) a private insurance firm, insurance brokers, or online. This type of policy is good for U.S.
Why purchase from a UStiA member? UStiA membership is your assurance that a company has met high industry standards including participation in the association’s Code of Ethical Conduct.